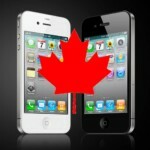 Earlier today Rogers/Fido announced their upgrade pricing for the iPhone 4. It looks like the ‘Big 3’ carriers are waiting until the last minute to release their pricing for customers. Bell has just updated their website with iPhone 4 details and they are the same as plans leaked earlier. -To get the lowest 3-year price on this phone, choose any combination of voice, data plan and features with a minimum value of $50/month. – Have an iPad too? 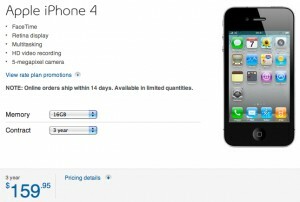 For an additional $10 per month, you can share the data between both your iPhone 4 and iPad. Get access to FREE Mobile TV (data download and usage charges apply) until September 30th and catch full-length episodes of your favourite shows, news, weather, entertainment and sports. Download the Bell Mobile TV app from the App Store to access this service. *Must be combined with eligible voice plan. I must say the $10 add for sharing your data plan with your iPad is a pretty good deal. I use about 1GB of data on my iPhone every month, depending on what I’ve been doing. To be able to share the rest of my data plan with an iPad 3G for $10 is a great deal. Rogers is charging $20+GRRF (Government Regulatory Recovery Fee; this has NOTHING to do with the government; seen by many as a blatant cash grab) to share data with iPads. Hmm…Bell is looking better for iPad 3G owners right about now!